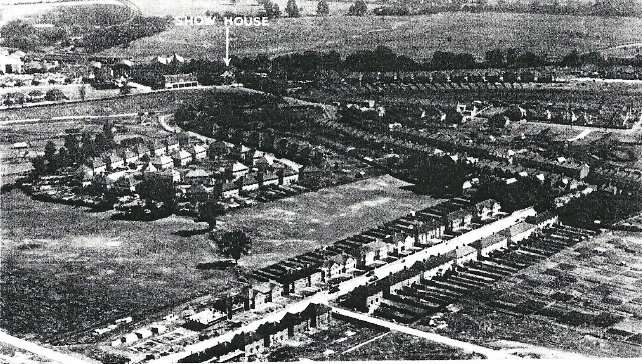 John Dickinson required more land on the mill site to provide extra buildings for the production of paper etc, so much of the original housing on the site was demolished. It was therefore necessary that alternative accommodation be made for the workers and management. A new house was required as a manager’s dwelling and on 29th September 1890 four acres of land were leased from Caius College, on a 99 year lease and a yearly rent of £35 to John Dickinson Company. 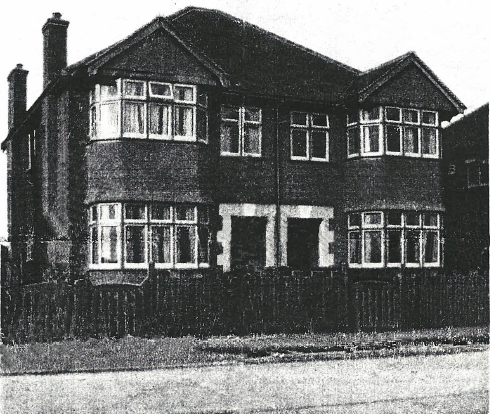 The following year an impressive three-storey house, called Nuttfield House, was built . The house was built at a cost of £1,358 and the accommodation consisted of drawing room, dining room, seven bedrooms, two dressing rooms, a bathroom, a kitchen, a scullery, two pantries, a larder and a cellar. The grounds provided a garage for two cars and rooms for a chauffeur. Stabling was also available. The garden had a large orchard of fruit trees and cobnuts as well as a sizeable kitchen garden for vegetables. Four years later electricity was installed (taken from the mill) at a cost of £150. The house name Nuttfield was probably taken from the local fields of mixed arable and meadow which had names of ‘Hither Nutfield’, ‘Further Nutfield’ ‘Hither and Further Nutfield’ and Greenwick meadow. Prior to John Dickinson making use of the land it had been used by successive tenant farmers who paid a rent to Gonville and Caius College. The house was allocated as the residence of the mill manager until 1919 when it was let to a series of tenants who found its position most unsatisfactory. 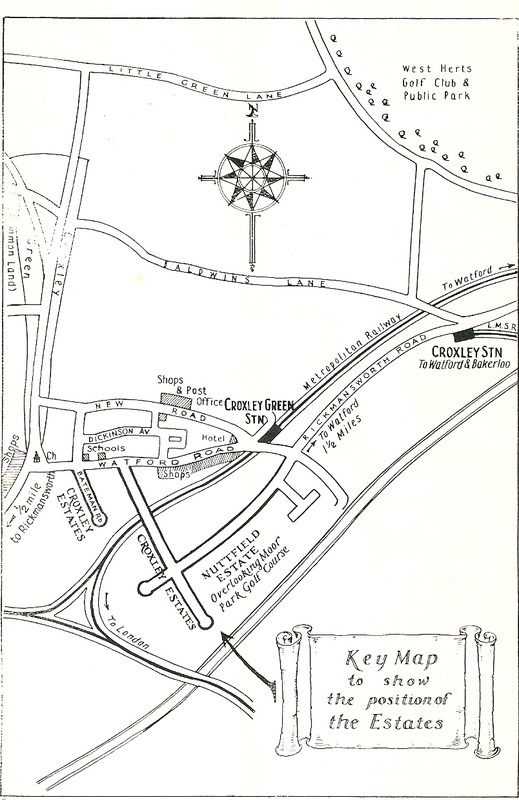 An unmade roadway went past the house and was used by the Rickmansworth Gravel Company to access their site at Long Valley where they had a washing and grading plant close to the canal. The continual irritation of lorries throughout the day caused distress with noise, dust and general disturbance. 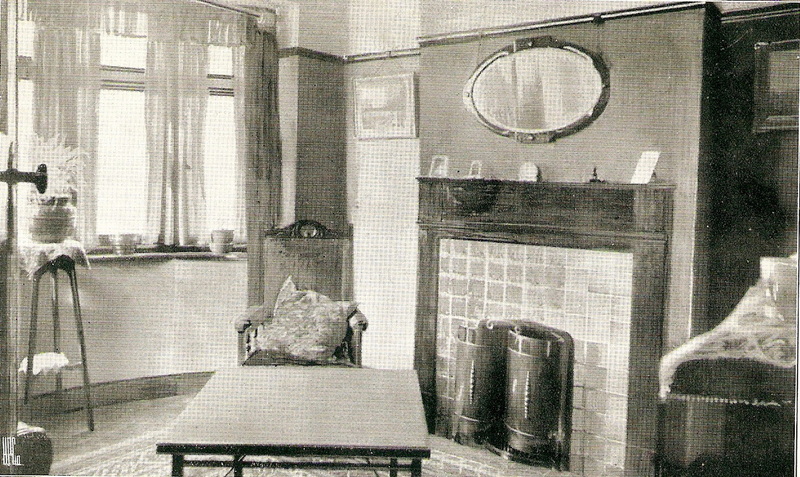 At one point it was decided by the mill managers not to sell the house because they thought a potential purchaser could be ‘troublesome in connection with fumes from the mill’. 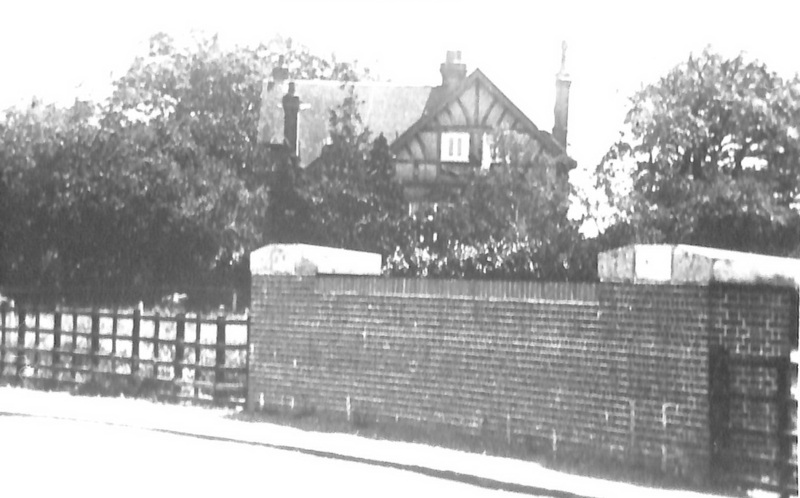 However, eventually the house and land was sold for £2,250 by Gonville and Caius to Croxley Estates Ltd who purchased additional land in this area for a housing development in the 1930’s. 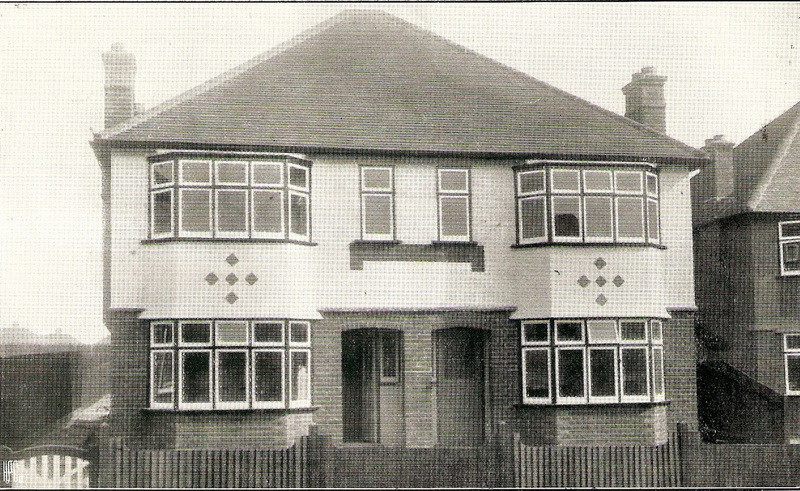 The building contract was awarded to F J Simmonds & Company, Builders. © Workmen erecting houses opposite Croxley Green station. 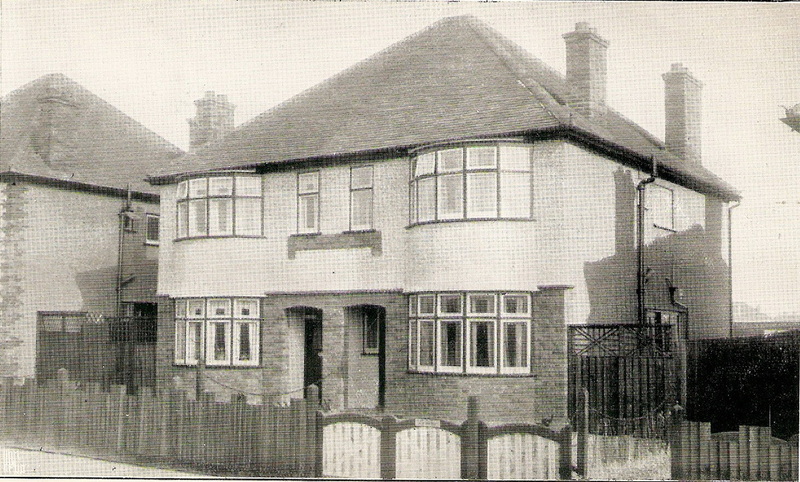 The new houses were built in Frankland Road, Harvey Road and Bateman Close. Prices started at £695 inclusive of all legal costs and road charges. Many semi detached houses could be purchased for £725. A £100 deposit was required and mortgage repayments would be 16 shillings per week. 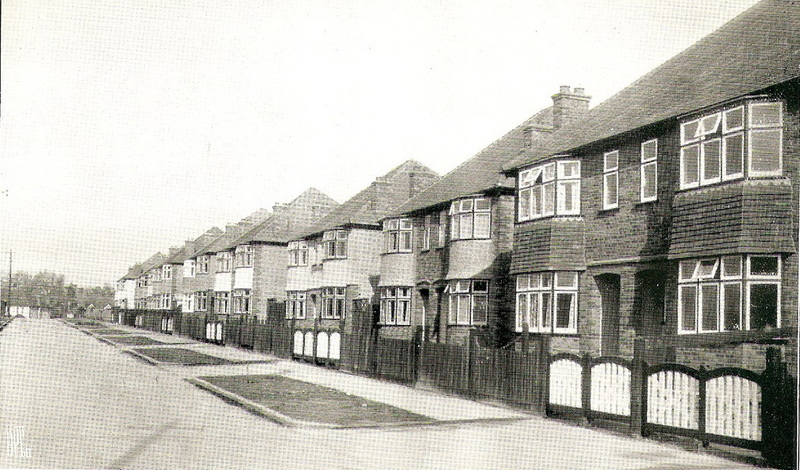 Each house had a ‘rateable value’ and these ‘rates’ were paid to Rickmansworth Urban District Council at 4 shillings and eleven pence per week. 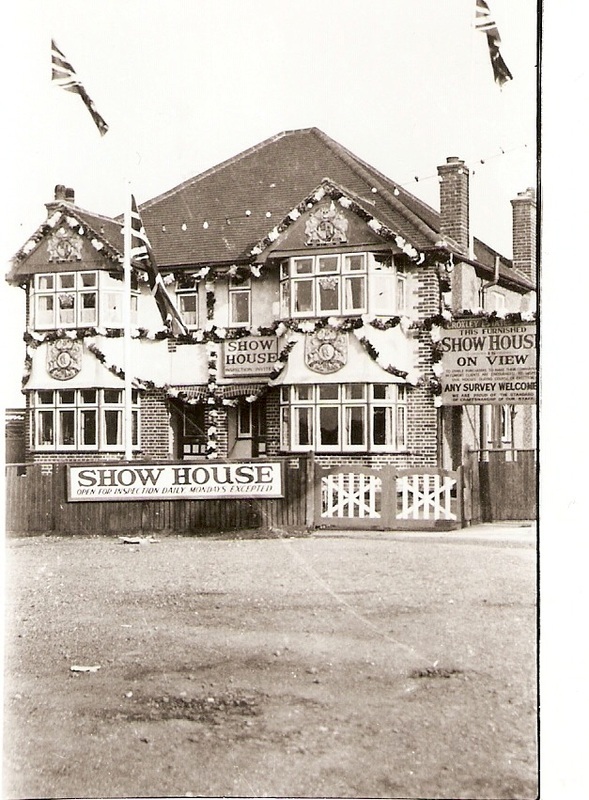 Apart from the rural aspect, buyers found the area desirable because of its proximity to Croxley Metropolitan Railway Station and a newly built parade of shops opposite the Red House public house on the Watford Road. 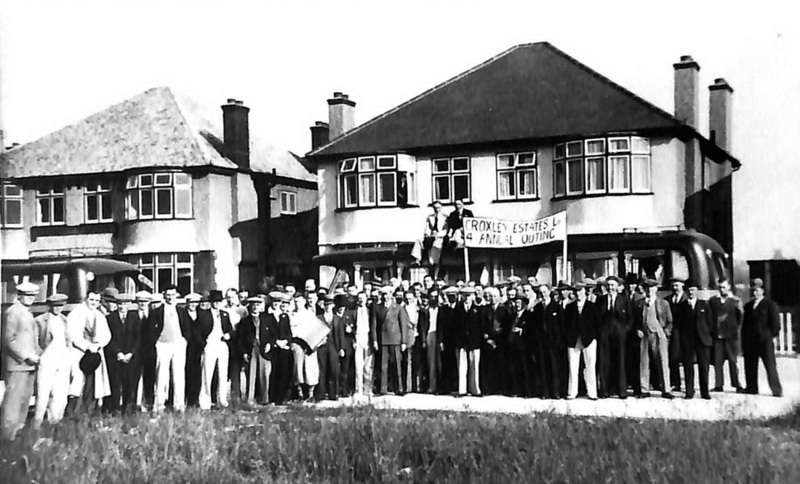 During the period when the estate was under construction the workforce organised a yearly outing. 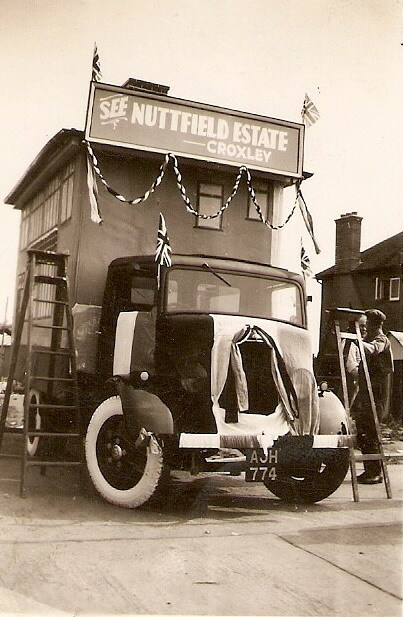 © Taken in 1937 as part of the celebrations for the coronation of King George VI, A 'show house on a Weston's haulage lorry advertising the Nuttfield Estate. A mother with her baby in the 'latest' perambulator looks on. ​Situated on the main Watford to Rickmansworth Bus Route is between the two Croxley Stations. Right opposite the Metropolitan Station the situation is all that is to be desired. Unquestionably the most accessible Estate in the whole district. An excellent service of trains to London from both stations and buses pass the Estate every few minutes to Watford and Rickmansworth. Croxley Hall woods practically surround the Estate and these woods and a very large area of the adjoining land has been acquired by the Rickmansworth Urban District Council for preservation as a permanent open space. Its high altitude gives permanent views across the Gade Valley to Moor Park. Gravel subsoil is acknowledged ideal for building by medical authorities. Wide concrete roads bordered by concrete paths, grass verges and lighted with street lamps at night, are already laid down. As the houses are finished the paths are laid down thus presenting immediate clean access and obviating future road charges. The best schools, churches, cinemas and facilities for organised sport are within easy distance. Are the leading firm and incidentally the oldest firm of builders operating in this area. We own the best sites and our established organisation is able to effect purchases of land and materials more economically than other firms. We are thus able to offer the public considerably better value and infinitely better financial terms than can be obtained elsewhere. The popularity of our house challenge comparison. 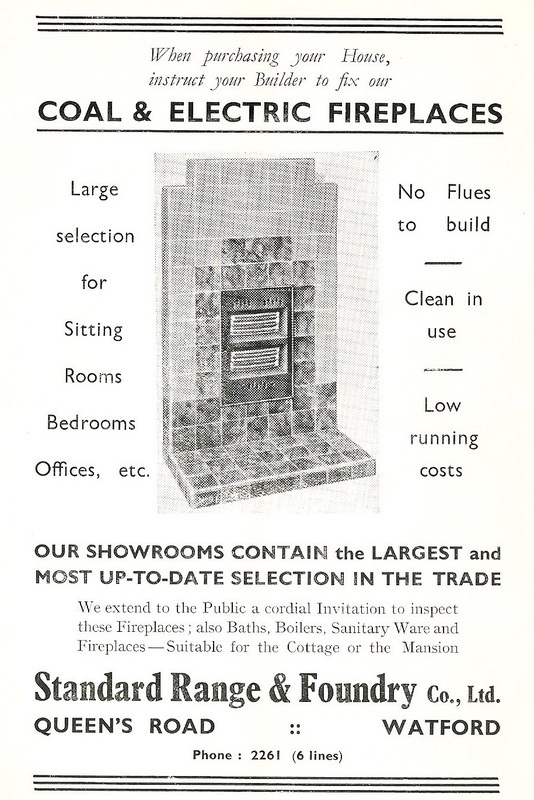 In the years 1933, 1934 and 1935 our yearly completed sales were greater than the combined sales of any two firms operating in the district. Our sales for this year to date are in excess of last year. A large percentage of our sales are the result of recommendations of satisfied clients. A cordial invitation is extended to all intending house purchasers to inspect our houses at any time. It is advisable to inspect during course of erection any house one contemplates purchasing rather than the completely finished. We are pleased to receive visitors during working hours in order that they may thoroughly inspect the standard of materials used and the quality of our workmanship. The utmost importance is attached to all our undertakings large or small. 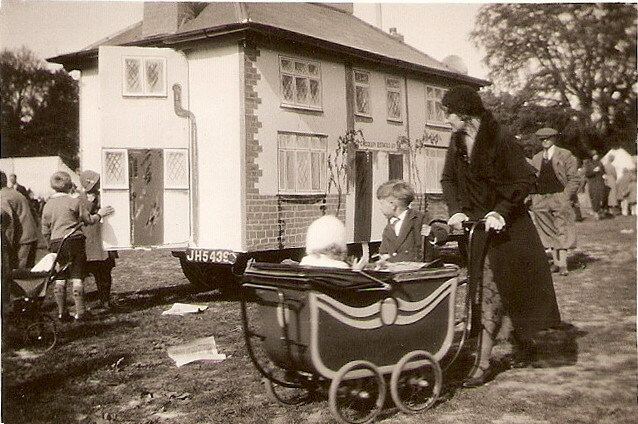 All our houses are thoroughly inspected and passed by the Surveyor of Rickmansworth Urban District Council and passed by him. We welcome independent surveys and never hesitate to subject any of our houses to a thorough expert examination by an independent Architect or Surveyor. Concrete foundations covering the entire site with washed ballast and English Portland Cement, in excess of the local bye-law requirements are laid down. The whole of the brickwork is built with cement mortar and has a double slate damp course. Timber of the selected quality is used and the whole of the joinery is English made. The ground floor is covered with draught proof tongued and grooved flooring. The roofs are close boarded and covered with English sand faced Brosley patterned tiles. Imposing front elevations varied with every house or pair of houses as the case may be, give "That different appearance." Our aim is to get away from the usual monotonous regularity one finds on most Estates. Each house has garage space and in most cases an east to west aspect. The following is a general description of the accommodation of our "A" Type House proved by our sales to be the most popular. Any house would be built to the purchaser's requirements anywhere. Centrally placed front doors give access to the entrance hall with a fine panelled staircase of Columbian pine. The staircase is not only attractive but a definite advance on the old baluster type, especially easy the keep clean. The hall contains built in double wardrobe, an exceptional feature in this class of house. A useful sized cupboard containing the meters and with ample accommodation for the vacuum cleaner, golf clubs etc. is under the stairs. There is also an alcove of suitable height for a hall stand or extra accommodation for hats and coats. Two way switching is provided to stairs and landing. DINING ROOM A well-lighted room 11ft. 6ins. by 13ft 6ins. into the bay give ample room for a complete full sized dining room suite and the usual extra furniture. A point for wireless is provided. LOUNGE A exceptionally spacious room 16ft. by 14ft. into bay with double casement doors to garden. A power point is provided and a point for electric clock if required. LANDING Spacious landing with panellised balustrades. The heated linen cupboard opens on landing. BEST BEDROOM A really fine bedroom 16ft. by 14ft. into bay. An attractive tiled fireplace, electric or gas fire is fitted to choice. SECOND BEDROOM This bedroom does accommodate a full sized double bedroom suite without any suggestion of overcrowding. 9ft. 6in. by 14ft. into bay. THIRD BEDROOM A really good sized third bedroom. 10ft. 6ins. by 6ft. 3ins. BATHROOM Large and airy, beautifully tiled and fitted with full size square bath with marble panel. Chromium plated hot and cold shower spray and lavatory basin. W.C. Separate W.C. adjoins bathroom. All the water piped inside the house are of copper. COALS An outside wooden coal shed 5ft. by 4ft. by 6ft. high is erected on a concrete base. PATHS To complete the house a concrete path is laid from the front gate to the front door. A continuous path is laid round the side of the house to the casement doors at the back. The width of the path is approximately 3ft. OUR WONDERFUL KITCHEN is the result of years of research work by the leading manufacturers of kitchen fittings in conjunction with the principles of the firm. 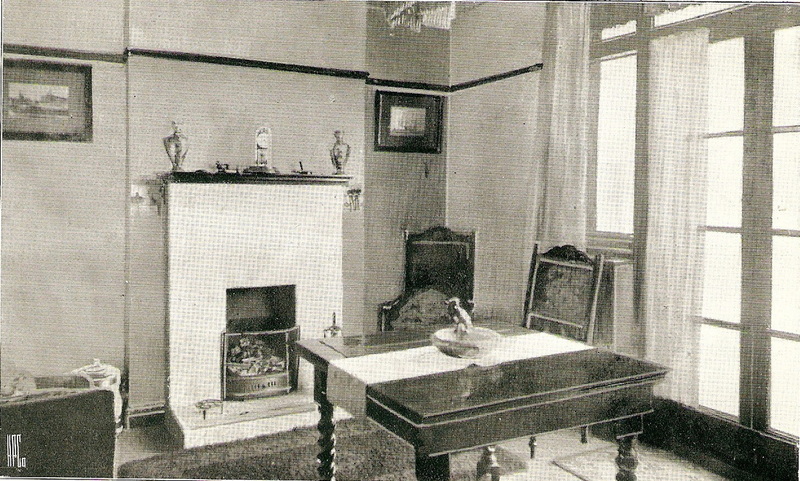 This one example is typical of the rest of the house. We often hear the remark "Truly a housewife's paradise" made by visitors to our show house. Well ventilated, just the right size to enable the lady of the house to do the main household duties in comfort. Created by skilful planning and the embodiment of essential labour saving devices. The walls are tiled to Dado height with English white glazed tiles. On one side are grouped a deep white sink with white porcelain draining board, an Ideal boiler in coloured enamel and Swift gas copper to match. The boiler supplies hot water to the sink, bath and lavatory basin. There is also a point for the cooker. This half of the floor is tiled with red tiles. On the opposite side is a full length ceiling fitments of registered design and an EXCLUSIVE FEATURE obtainable only in our houses. Incorporated in this fitments is a large ventilated larder, two china cabinets with leaded lights to both pairs of doors, two extra large baize lined partitioned cutlery drawers, two metal lined bins for cakes etc. and a general purpose cupboard fitted to take brooms and brushes. A kitchen table with a white porcelain enamelled top four feet in length. A drop seat for the table is fitted. A secret ironing board completes this remarkable piece of kitchen furniture. The point for the electric iron is of course near to hand. The whole fitments is finished in a delicate shade of green enamel with chromium fittings and glass draw pulls. The whole of the doors throughout the house are British made of British Columbian Pine fitted with English made mortice locks and chromium plated furniture. The doors on the ground floor have rising butts to clear carpets when opening. The electric light switches are flush to the wall and the lighting points are wired to and including the lamp holders. In the matter of the fireplaces and decorations our clients are given entire freedom from our extensive stock. The whole of the materials used are of the highest class and we claim that "our houses are over 90% BRITISH." We buy only from merchants of the highest repute. Our reputation and theirs is our clients safeguard. House building is our business and all clients receive the personal attention of the principals. Our continuous record of very successful trading substantiates our claim of SATISFACTION TO CLIENTS. MAY WE ADD YOUR NAME TO OUR EVER INCREASING CLIENTELE? The above weekly repayments are calculated at on the present Building Society rate of interest, viz: 4.5% and are for terms of 25 years. We have special arrangements with the societies that mortgage can be repaid at any time or reduced by any amount, on payment of which, interest is reduced according to amount repaid. Our prices are inclusive of all stamp duty, conveyance, mortgage and survey fees if the mortgage is arranged with the building society we nominate. Purchasers are at liberty to arrange mortgages through any source or employ their own solicitor. In this case we pay stamp duty on the conveyance only. All our houses are FREEHOLD, free of tithe and NO ROAD CHARGES. 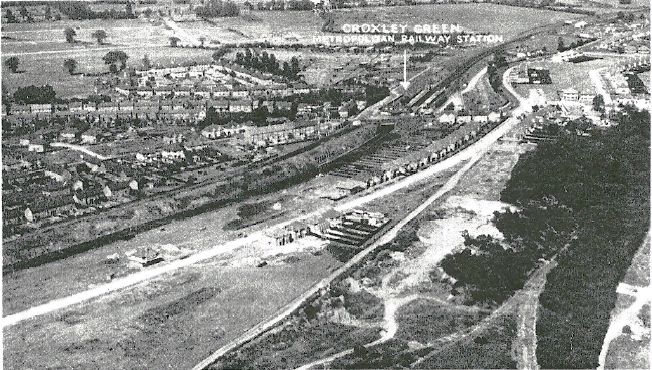 © Croxley Metro Station is shown in foreground. Fare stage of Watford - Rickmansworth Buses. The above is a reproduction of the file that can be downloaded on the right.